Circa 460 A.D. Mira was born in a warrior-family in Kerala, India, was well versed in martial arts and self-defense, so much so that she was recruited by the Spanish royalty and re-located to Constantinople. From there she was instructed to assist Roman Commander Aurelius to plan the escape of 12-year old Romulus Augustus Caesar from a prison in Capri after his parents had been killed by the leader of the Alliance in turmoil-stricken Rome that has seen the deaths of five emperors in five years. Mira, Aurelius, and a Priest, Ambrosinius, along with a handful of loyal soldiers were successful in the escape plan and deliver Romulus to Roman Senator Nestor. 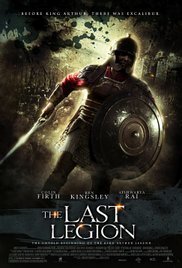 I expected an entertaining costume movie about Romans, but after a while it looked rather like an “Asterix and Obelix” soft-action movie. The only bright spot was the appearance of Aishwarya Rai Bachchan. The Romans should worship her. What a divine body. The movie was of a high “Bud Spencer” level with Goths flying around in the sky, after which Mira appears gloating. Then there was Thomas Brodie-Sangster who had the same facial expression the entire film (excellent performance when you take that in mind). Ben Kingsley starts as a nicely played counselor/teacher/philosopher (beautiful scene in the beginning of the film), but slowly evolves into an irritating magician. Him being Merlin was a complete surprise and a sign for me to start rolling my eyeballs. I didn’t care whether the film is historically accurate. I was hoping for an entertaining movie, but got a faint pathetic historical epos with men in skirts.